Home News	Update for WhatsApp available! Today, WhatsApp has published an update to its Windows Phone App. The popular messenger has received some new features like new notification settings. Now it is possible to set a custom notification sound for each chat. You can also mute chats. Furthermore WhatsApp has added some new emoji and the possibility to change their color. There are some more features like option to select multiple messages in a chat and delete or forward them. The team behind the Windows Phone App of WhatsApp does a great job with developing the app. The app often gets new features and bug fixes and as we know this isn’t natural for a Windows Phone app. 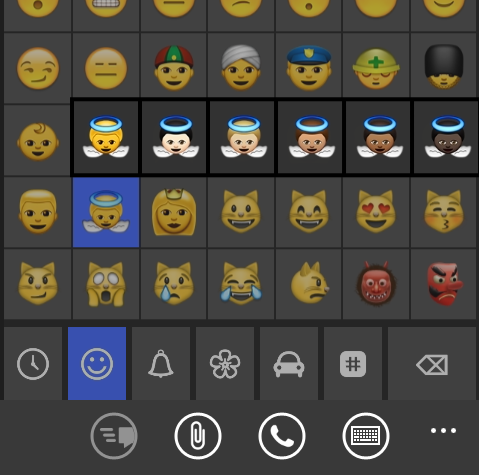 So thank you WhatsApp for making the Windows Phone App better and better!